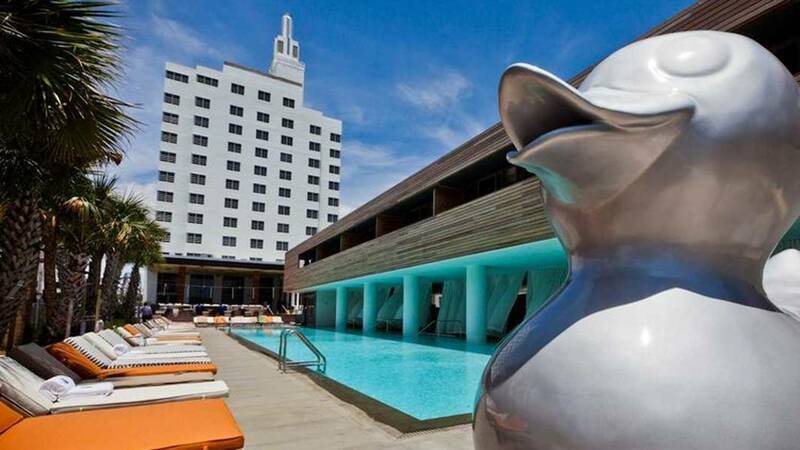 MIAMI BEACH, Fla. - A South Beach hotel has agreed to pay $2.5 million to settle a discrimination lawsuit filed on behalf of 17 fired Haitian dishwashers, the federal authorities said Monday. According to the lawsuit, the dishwashers at restaurants in the SLS South Beach, in the 1700 block of Collins Avenue, were called "slaves" by chefs and forbidden from speaking Creole despite Hispanic employees being allowed to speak Spanish. The lawsuit also said the Haitian workers were singled out for difficult tasks from which other employees were exempt. When the dishwashers reported the discrimination to the hotel's human resources department, the entire staff of dishwashers was fired in April 2014, the lawsuit said. The employees worked in the hotel's restaurants: The Bazaar by Jose Andres, Katsuya and the Hyde Beach. The dark-skinned dishwashers were replaced by mostly light-skinned Hispanic employees, the U.S. Equal Employment Opportunity Commission said in a statement. "EEOC will continue to protect workers in the hospitality industry, including the black Haitian community that makes up a significant part of the South Florida workforce," said Michael Farrell, district director for the EEOC's Miami office. As part of the settlement, the hotel's parent company, SBE Entertainment Group, will also provide comprehensive training for human resources staff and managers. Federal officials will also monitor the company -- which owns six hotels in the Miami area -- for the next three years, taking note of firings and layoffs. Jim Greeley, a spokesman for SBE, said the company denies the allegations in the lawsuit but decided to settle so all the parties could move forward. He said the company decided to switch to an outside firm to handle the dishwashing at SLS restaurants for economic reasons and more than 30 employees were let go as part of the transition. Greeley said other departments, such as the valet service and overnight cleaning staff, had been outsourced in a similar way. Greeley said SBE's human resources department was contacted about the allegations of discrimination after the management made the decision to outsource the dishwashing staff. Greeley said the company currently employees many people of Haitian descent and urged the laid-off workers to apply to the new staffing company. "While we respect the important work of the EEOC, we are disappointed by the statement they have published today. SBE takes its responsibility as a diverse employer very seriously," Greeley said. "We made the decision to settle to end the matter for all involved in the most amicable way possible."